I am a Certified Registered Nurse Anesthetist. I worked as an ICU RN for 10 years before going back to school to obtain a Masters in Nurse Anesthesia from which I graduated Dec. 2010. I recently obtained my certification as a Certified Nutrition and Wellness consultant and Personal Trainer through the AFPA. I am also an NPC Figure Competitor in which I have been competing in for a year now. I competed in 7 shows this past year and placed in the top 4 in all 7 shows. I have been training with Team Bombshell since January 2010 and it has been an amazing year. I have recently become an independent distributor for visalus sciences selling meal replacement for those wanting to lose weight and lead a healthier lifestyle. I hope to make Charleston a healthier place, one person at a time! 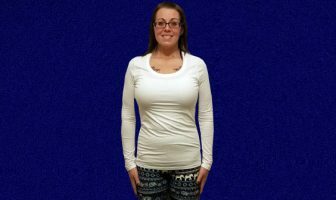 A fellow competitor and I have just recently started a company called Haute Bod Designs LLC. We sell products such as skin and hair care, workout supplements, makeup, other accessories that the female athlete and competitor finds a necessity. We will also be designing our own workout clothing line in the future. Currently we are in the design stages, so hopefully by spring time we will have some clothing on the website. However, the website is up and running so please check it out! I have aspired to be a professional bodybuilder since I was 5 years old when I got my first set of weights for Christmas. As a kid, when my friends were playing “house” and “school”, I was playing personal trainer and gym owner! LOL. Cory Everson was my idol! I’m not sure why, but I was always fascinated by a muscular physique and how it was something anyone could create. I played sports throughout grade school and started weight training as a freshman in high school. I’ve been in a gym my whole life off and on. After I had my daughter at the age of 25, I gained a lot of weight and maxed out at 185 pounds on her first birthday. After we had family pictures taken, I saw how bad it had gotten. I was devastated! I didn’t recognize myself. I made a vow at that point to lose weight but most of all become healthy for my daughter. So I changed my eating, I made it to the gym everyday, and I quickly lost 40 pounds in 4 months. I continued to eat healthy and workout daily for a couple of years and maintained my weight. One day I was approached by a personal trainer at my gym and he told me I should consider competing. I just laughed at him because I thought he was joking. Then he began telling me more about the figure division, which is more muscle than bikini competitors but less than a bodybuilder. This obviously brought back that fire and desire I once had to be a bodybuilder. I started doing some research, asked around about a good trainer and was referred to Shannon Dey with Team Bombshell. After I graduated from anesthesia school in December 2010, my present to myself was joining Team Bombshell. It was the best present ever! It has changed my life! I like that I am setting a good example for my daughter and others to lead a healthy lifestyle. I want to inspire others and give others the confidence and support to achieve their goals. I remember what it felt like to be overweight and depressed and feel hopeless. I want to help others get out of that vicious cycle. My biggest accomplishment was achieving my dream by stepping up on stage and competing. I have always wanted to compete in bodybuilding since I was a little girl. Even though I am in the figure division, I have put in a lot of hard work and effort and have been able to showcase it. I am a very shy person and have a huge fear of being the center of attention! Especially, walking in 5 inch heels in a tiny suit on stage! But not only did I accomplish it, I placed well in all my shows and I loved every minute of it! Well I am probably not the best person to ask about this because I am still working on this myself. I would say that probably the first thing that should be done is to have some professional photos made. Then start sending them to agencies and magazines. Just get your pictures and face and name out there. Use Facebook and Twitter as well. 3:30am: Gym for cardio and weights. 3:30pm: Off to work and meal #5. 5:30pm: During season I do cardio #2; during off season I do mixed martial arts and eat meal #6. I would have to say HIIT with sprints at an incline on the treadmill. Try sprinting for 1 minute at incline of 9 at 7 mph, walk for 30 seconds and repeat for the amount of time you have. That always gets my heart pumping the most! You should try to lose no more than 2-3 pounds per week for sustained weight loss. You can lose that amount without having to starve your body and slow your metabolism. First and foremost, you should eat breakfast. I recommend some lean protein such as egg whites and a slow digesting carbohydrate such as oatmeal. There is a lot of controversy on whether fat burners, caffeine, nitric oxide and pre-workout boosters really work or should be consumed. Personally I use a fat burner only during competition season. If I am feeling really sluggish I will have a cup of coffee. Research shows that consuming caffeine prior to a workout boosts energy levels therefore making your workout slightly more effective and increasing the number of calories you burn. A lot of athletes swear by nitric oxide and creatine. I do not use creatine because this makes me bloated and hold water. I’ve used nitric oxide in the past and could not tell any difference. The key to gaining muscle and losing fat is a consistently clean diet with intense workouts. Ahh, this is the most popular question I get! Well, the best way to deal with the cravings for me is to just not buy the foods that I have a tendency to crave. That way, even if I crave it, I don’t have it to eat. I will also drink a large glass of water or make some hot tea to help. Sometimes I find I just want something in my mouth to chew on so I will chew a piece of gum. The cravings will start to taper eventually. I used to obsessively think about sweets, as I have a major sweet tooth. I was beginning to think I had an eating disorder because all I could think about was eating. But over time, those thoughts started to go away and I no longer crave sweets like I used to. I sometimes go weeks without a single craving. And now if I do have a craving, I will indulge a little and then it’s gone and I’m satisfied. Just stick with it! I promise it will get easier! Lean meats such as chicken, fish, turkey and egg whites. Whole wheat carbs such as whole wheat bread, pasta, brown rice and oats. Green veggies that are fresh or frozen. Small amount of fruits such as berries, cantaloupe, grapefruit and apples. Fats such as olive oil and flaxseed. These should be distributed throughout the day. Well first of all, please see your physician before you start an exercise program. You need a full physical to make sure your heart and lungs will tolerate some stress. Then my recommendation would be to hire a personal trainer and nutritionist to obtain the best results. Start slow but challenge yourself. Keep a food diary and write down your workouts. Also, write down your goals and as you reach those goals, create more goals! My recommendation for eating out is simply to not eat out. You do not know what the foods are seasoned with or marinated in and a lot of times the managers and kitchen staff do not know either. I typically will bring my own food from home when my family wants to eat out. At first it was embarrassing for them, but now they are used to it and understand why. Even if you order a plain grilled chicken breast, I guarantee, it will still come packaged and marinated in some kind of sauce and it will be grilled on the same grill as the other items sold that all have seasonings and marinades so some of that will still end up being cooked into your food. Living a healthy and fit life is a lifestyle. Unfortunately, most restaurants do not fit that kind of lifestyle. But if you must, order your meats plain, your veggies plain with no butter, fat-free salad dressing on the side and tell them to leave off the bread and any other items such as cheeses. Walking lunges and low squats seems to target the glutes better than any other exercises I’ve found! Diet is also a major player though so don’t forget to eat healthy! I guess it is that my lifestyle is different from that of my friends and family so I miss out on activities and gatherings. I go to bed early so I do not stay out late anymore. I am always the first to leave so I can get in bed fairly early since I get up so early to workout. I have to take my cooler of food with me everywhere I go and plan my meals so if we go to, say an amusement park, I have to keep an eye on the time and make a trip back to the car to eat! If we go out of town, I have to stay in a hotel that has a gym so I can get my workout in for the day. I do not drink alcohol anymore so some people look at me as sort of a downer. People do not understand why I do what I do. But that’s okay. This was my choice and I could not be happier! Breakfast: Egg whites and oatmeal. Mid-Morning Snack: Lean meat like chicken or fish, brown rice, asparagus. Lunch: Whole wheat pasta, lean meat. Dinner: Lean red meat like sirloin or flank steak and spinach. Strength Training Exercises: It varies. I have a different workout every single day. The best thing you can do to increase strength and muscular development is muscle confusion by changing exercises, reps, sets, and the amount of weight you are lifting. Cardio Exercises: I do a lot of HIIT (High Intensity Interval Training). I use the treadmill a lot at a high incline with a lot of sprints and running holding dumbbells. I use the stair stepper and elliptical at a very high resistance. Additional Training: In the off season, I do mixed martial arts training and CrossFit in addition to my regular cardio and workouts. 1. Clean diet with high protein, whole wheat carbs and veggies. 4. Vary sets and reps.
5. Stick with free weights. 4. Eat every 3 hours. 3. Utilize drop sets often. 2. Surround yourself with people who have similar goals. 3. Pin up pictures of what your goal will look like. 5. Commit yourself (sign up for a race or a competition). Monday: Quads, glutes, calves 4-5 sets of heavy weight, 1 hour of cardio. Tuesday: Shoulders, chest, triceps 4-5 sets of heavy weight, 1 hour of cardio. Wednesday: Back and biceps 4-5 sets of heavy weight, 1 hour of cardio. Thursday: Hamstrings and plyos 4 sets with weight, 1 hour of cardio. Friday: Glutes, calves, 1 hour of cardio. Saturday: 1 hour of cardio. 2. Eat every 3 hours. 4. Lots of lunges and squats. 5. Try standing more than sitting during the day.